Allen has been a veteran app developer for over three years. He has helped app developers increase their app downloads by over 1000%! Now you can get Allen Wong's official autobiography, and learn the secrets on how he did it. You will get a PDF eBook copy instantly to your PayPal email address right after you buy it. Can't use Paypal or want a printed version instead? 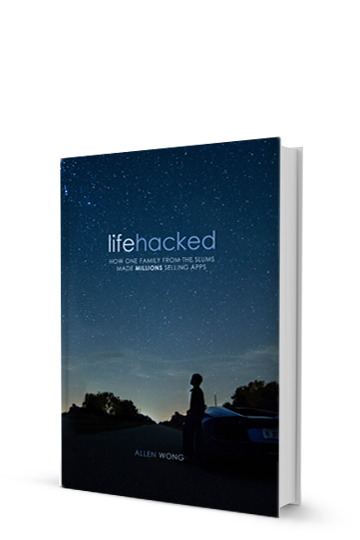 Try buying the Kindle or Paperback of Lifehacked on Amazon. © 2012 REGO APPS, LLC.